Opioid addiction is a major problem in the United States, and the public is demanding action to stop it. Feeling the weight of that pressure, politicians have pledged to cut drugs off at their source. For drugs like cocaine and methamphetamine, that might mean street corners, trap houses, or even the border. But for prescription drugs – currently the leading cause of accidental overdose and death in this country, and a notorious “gateway” to harder drug abuse – “the source” is sometimes a prescription pad in a doctor’s office. Accordingly, federal authorities are employing a wide range of measures to combat prescription painkiller abuse as well as the drugs they pave a path for: carfentanil, fentanyl, and heroin. Those measures include noble efforts like education and community outreach. But increasingly, they also include aggressively prosecuting doctors, nurses, pharmacists, and any other health care providers who prescribe, administer, or distribute prescription pain medications. In surveying the opioid cases currently on the federal dockets and those that have dominated Department of Justice press announcements in the last five years, it is clear that the defendants are not limited to fake M.D.s or shady pill-mill doctors who dole out dangerous drugs for cash. On the contrary, many of the people caught up in these cases are doctors with thriving practices and sterling reputations. They treat patients who are in dire need of pain relief (or perhaps patients who are already opioid-dependent) for whom a pain medication prescription may be a critical part of their recovery. 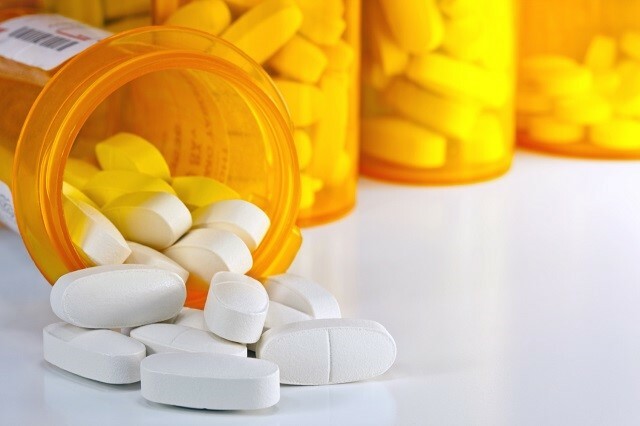 In terms of the specific criminal charges, opioid cases against health care providers range from overbilling Medicaid or Medicare (health care fraud) to writing or selling prescriptions for patients who don’t need them (drug trafficking or drug diversion) – among a host of other opioid charges. Federal investigations tend to spiral into major ordeals very quickly. The consequences can be devastating. The penalties may even include decades in prison, not to mention inconceivable fines and the revocation of medical licenses. If you are a health care provider treating patients who struggle with pain or addiction, please don’t take the threat of a DEA, DOJ, OIG, or FBI investigation lightly. Talk to an experienced health care criminal defense lawyerfor advice on compliance and strategies for legal defense right away. How Is the DOJ Building Opioid Cases against Health Care Providers? Last fall, on August 2, 2017, U.S. Attorney General Jeff Sessions announced that the DOJ would form of a new Opioid Fraud and Abuse Detection Unit. Among other things, the DOJ would now assign teams of federal prosecutors to various regions around the country, tasking them specifically with addressing opioid-related Medicare fraud. Issued millions of dollars in grants to state and local law enforcement (specifically to aid in policing illegal opioids). Even if you haven’t done anything wrong, a single careless statement or a period of sloppy documentation in your office could lead to an investigation. As the government’s efforts to combat the opioid crisis grow more stringent, doctors are at greater risk of being investigated, prosecuted, and sentenced for a federal felony they never intended to commit. Any provider targeted as a suspect should take swift and strategic action to protect themselves from undeserved consequences by contacting a health care criminal defense attorney as soon as possible. While the government can and does conduct investigations nationwide, those whose clinics are located within these 12 twelve districts should be especially cautious when treating patients for pain or opioid addiction. Oberheiden, P.C.is a health care fraud defense firm representing doctors, nurses, pharmacists, and medical executives across the country. Our team consists of highly experienced health care criminal defense lawyers, many of them former DOJ prosecutors,who now represent individual white-collar professionals and medical organizations instead. If you are under suspicion of any opioid-related offense, please contact our office for a free and confidential consultation right away. We’re standing by.